Miyazawa Kenji was born, the eldest son of five children, in the village of Hanamaki, Iwate Prefecture, to a prosperous family of merchants. In 1921 he became a teacher at a local agricultural high school. Even after five years of teaching he devoted himself to making an immense effort to improve the plight of poor farmers. He spent much of his life laboring to improve the material and spiritual lives of poor farmers in the impoverished farming communities of Iwate Prefecture in northern Japan. He worked his fingers to the bone to bring reality closer to the ideal but tuberculosis gnawed away at his body and he fell ill. For all that, he wrote and revised his works in bed for five years. 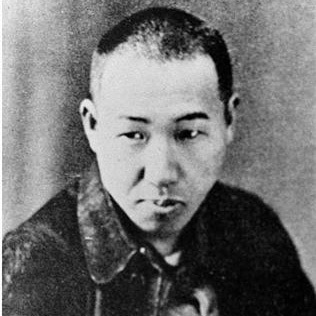 Only his most famous book of poetry, Haru to shura (Spring and Asura), and his fairy tales, Chumon no oi ryoriten (The Restaurant of Many Orders) were published in his lifetime. Translator Tomiyama Hidetoshi teaches American poetry at Meiji Gakuin University, Tokyo. Co-translator Michael Pronko teaches American literature and culture there; he is a jazz critic and essayist as well.